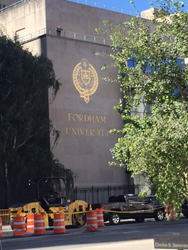 Fordham University seal and accompanying lettering in 23 karat gold leaf by Petrillo Stone Corp.
"...Petrillo takes our ideas and translates them into workable designs executed to perfection at both our campuses," said Brian J Byrne, Vice President for Lincoln Center Campus. "I can only speak for the 38 years I have been at Fordham for the consistently high standard of both product and service we have received from Petrillo Stone. Petrillo takes our ideas and translates them into workable designs executed to perfection at both our campuses," said Brian J Byrne, Vice President for Lincoln Center Campus. 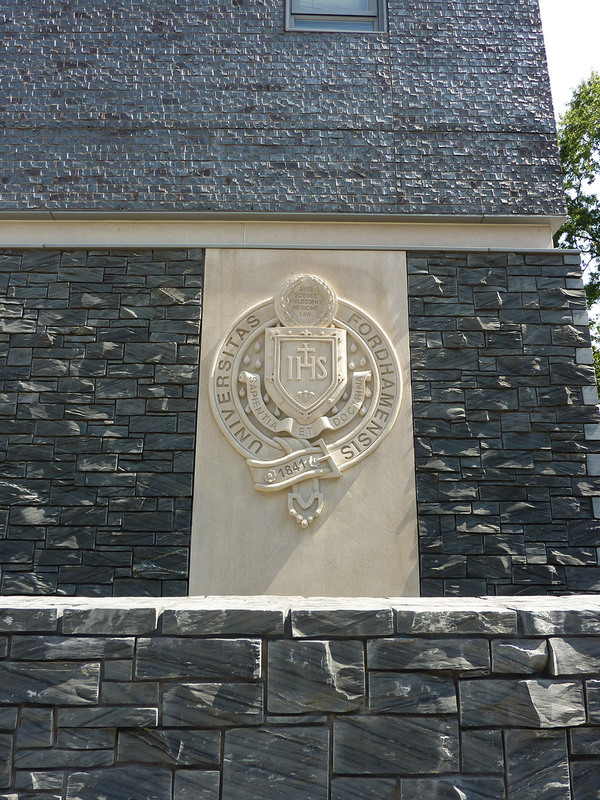 A sampling of these projects includes the marble and stone work on the exterior of The Gabelli School of Business, the Seven Blocks of Granite Monument (honoring Vince Lombardi and his teammates), the new stonework and refurbishing work at the Walsh Library, and multiple smaller seals at both NYC campuses. Petrillo Stone has also done marble work in the Chapel at Rose Hill and even restored an altar. At the Law School at Lincoln Center, the company supplied and installed granite coping stones at an elevated garden. 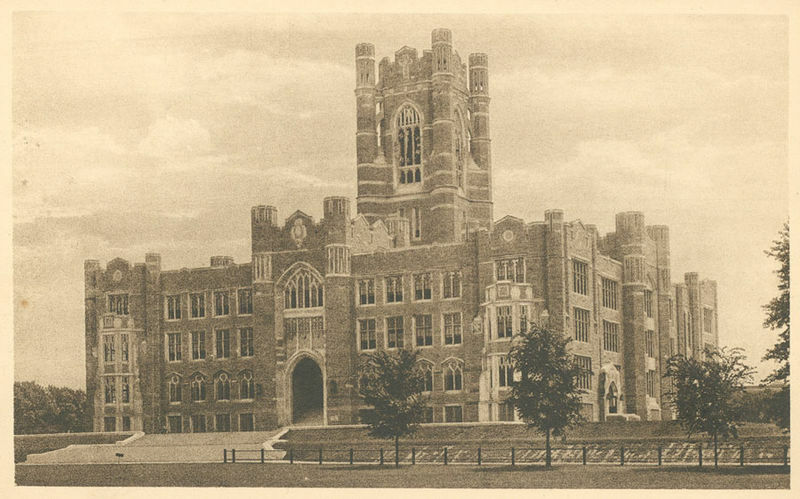 As grandsons of its founder, and third generation owners, brothers Frank and Ralph Petrillo get a great deal of pleasure seeing all the work their company has done throughout the years with Fordham University. Antonio T. Petrillo established Petrillo Stone Corporation in 1907 in Mount Vernon, NY. Since then the company has met or exceeded the exacting standards of countless architects, designers, and builders. Petrillo Stone Corporation imports, wholesales, fabricates, and installs marble, granite, limestone, and other stone products for the interior and exterior of commercial and residential buildings.